The international Advisory Committee of UNU-FLORES convenes once a year in Dresden to hear reports from the Director on activities of the Institute and provide guidance and advice. The Committee comprises a diverse group of five renowned scientists, who are introduced below. 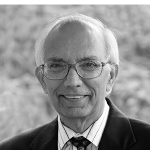 Rattan Lal is a Distinguished University Professor of Soil Science and Director of the Carbon Management & Sequestration Center at the Ohio State University. He held positions at the Rockefeller Foundation, New Delhi, India; the University of Sydney, Australia; the International Institute of Tropical Agriculture, Ibadan, Nigeria and the University of Iceland, Reykjavik. He is also a scientific advisor to Institute for Advanced Sustainability Studies in Potsdam, Germany. He served on various international bodies such as the International Committee on Tropical Deforestation and Land Management, Nigeria (Chair), the World Association of Soil and Water Conservation (President), International Soil Tillage Research Organization (President), and the Soil Science Society of America (President). He was lead author of the UN Millennium Ecosystem Assessment and Lead Author in various reports of the International Panel on Climate Change. 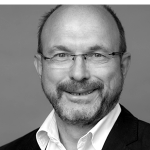 Karl-Heinz Feger serves as Dean of the Faculty of Environmental Sciences at TU Dresden. He is director of the Institute of Soil Science and Site Ecology of TU Dresden. He studied hydrology in Freiburg, Germany and Zurich, Switzerland. After his PhD and habilitation in forest soils and hydrology/biogeochemistry in Freiburg, he worked at Albert-Ludwig-University Freiburg, Ruhr University Bochum and Hohenheim University before becoming a full professor at TU Dresden in 2000. His research interests are soil-water-plant relations at various spatial scales. 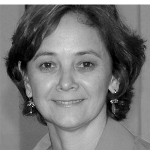 Adelaide C. Nardocci is professor of environmental risk assessment and risk management in the Department of Environmental Health at the School of Public Health, University of São Paulo since 2001. Before joining the University, she worked at the Brazilian Institute of Environment and Renewable Natural Resources on the environmental licensing of the large enterprises. She is physicist and has a master’s degree in Nuclear Engineering and PhD in Public Health. She is the leader of the Center for Research on Risk Assessment and is a member of the Center for Research on Disasters (CEPED) of the University of São Paulo. She is also a member of the Society for Risk Analysis and Latin America Society for Risk Analysis. 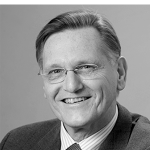 Wim van Vierssen was CEO of KWR Watercycle Research Institute, the research institute of the Dutch Drinking Water Utilities, from 2007 to 2018. He is Rathenau Professor at Delft University of Technology on Science System Assessment of Water-Related Research. Currently, he is a member of the High-Level Steering Group of the European Innovation Partnership on Water of the European Union. He also serves on several high-level boards nationally. He recently was appointed chair of the Sector Actors Group of the Water Futures and Solutions Initiative, an initiative of the International Institute of Applied Systems Analysis (IIASA) in Laxenburg, Austria. He has published more than 100 papers in peer-reviewed journals, proceedings and the popular press. Previously, van Vierssen also served as Rector of UNESCO-IHE and Director General of the Environmental Sciences Group at Wageningen University, the Netherlands. Van Vierssen obtained his PhD from the former Catholic University in Nijmegen (renamed Radboud University Nijmegen) in 1982. Bancy Mbura Mati is the Director of the Water Research and Resource Center (WARREC) at Jomo Kenyatta University of Agriculture and Technology (JKUAT) in Kenya. She holds a PhD in rural land use and GIS from Cranfield University, United Kingdom. 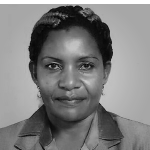 She has previously worked as Principal Scientist with the International Crop Research Institute for the Semi-Arid Tropics (ICRISAT) as the Programme Manager of IMAWESA, a Programme that covered 23 countries in Africa (2005-2010). Prior to that, she worked part-time with the International Water Management Institute (IWMI). Bancy serves on the Board of the Engineers of Kenya and the Steering Committee of the Kenya Water for Industry Association (KWIA). She previously was on the Board of the Global Water Partnership (GWP) (2004-2007). She is an active researcher and has published widely on sustainable management of land and water. 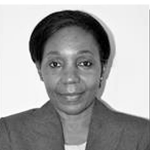 Ana Maria da Graça Mondjana is Vice-Rector for Academic Affairs since May 2011 and is Assistant Professor at the Faculty of Agronomy and Forestry Engineering (FAEF) at Eduardo Mondlane University (UEM). She holds a doctorate in plant pathology from the University of Wisconsin – Madison, USA. Mondjana has extensive experience in university administration, teaching at the graduate and post-graduate levels as well as in research and extension. Throughout her career she held various administrative positions, including Scientific Director of UEM (2006–2008), the Deputy Director for Research and Extension and President of the Scientific Committee of FAEF (2005–2006) and coordinator of MSc Programme in Rural Development in FAEF Plant Production (2004).